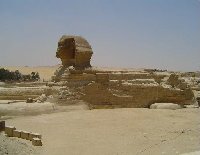 The sphynx cat of Egypt. We stayed at some friends of my uncle who were very welcoming and made sure we had everything we could wish for during our time in Egypt. We went to visited a lot of interesting places and we got to see the Sphynx, the pyramids, the Nile river and of course the Museum of Cairo which is the largest museum of the world! Inside the museum there even was a sign with guide lines for people visiting the museum, explaining that, in order to observe every single object inside the museum for at least thirty seconds, it would take you three months to see everything! We visited the museum in about two hours without rushing too much and that alreay seemed like an eternity! The last days of our stay in Egypt we spend at a 5 star hotel on the Red Sea where we had an amazing time. The sea was beautiful and very clean, with lots of fish to admire. Did you enjoy Cairo and the world's largest Museum and have you been on a holiday in Cairo, Egypt? Posing in front of the piramids. 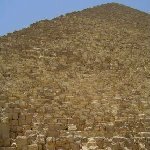 Excursion from Cairo to the piramids. Photos inside the library of Cairo. Camel ride to the pyramids, Cairo. The library of Cairo, Egypt. 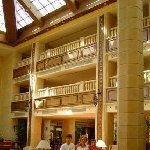 Photo of our hotel in Egypt. A 5 star hotel on the Red Sea, Egypt. Liked: There are a lot of interesting things to see like the library of Cairo and its enormous museum. Disliked: Cairo is very chaotic with a very dense population.